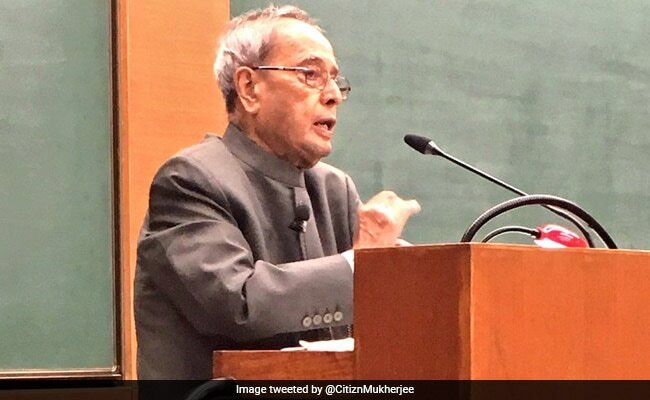 Former President Pranab Mukherjee Sunday stressed on the need for creating a conducive atmosphere to attract brightest of the bright into teaching,research and innovation. “There are 767 universities in the country and is expanding. There is a huge development of physical infrastructure in higher education…. But I regret to point out that the quality of education, which we are providing in our our institutions of higher education, are not up to the world standard,” Mr Mukherjee said. “We will have to create a conducive atmosphere in which brightest of the bright come to the teaching, research and innovation…. Our future progress will depend increasingly on our ability to innovate, to devise efficient processes for the industrial sector and better solutions for governance,” he said. He remembered his association with Patna University saying that he had come here in 1984 as finance minister to participate in PU’s convocation ceremony. Mr Mukherjee said the university has a remarkable list of nation builders as its alumni that included Dr Sachidanand Sinha, Jai Prakash Narayan, Ramdhari Singh Dinkar and Dr B C Roy. Mr Mukherjee gave away Gold medals and degrees to 38 toppers of various subjects besides giving Ph.D degrees to 54 research scholars.